I’m using up the very last of my blood oranges. It’s April and blood oranges have disappeared from the market. Such a bummer! I could bake with these all the time. 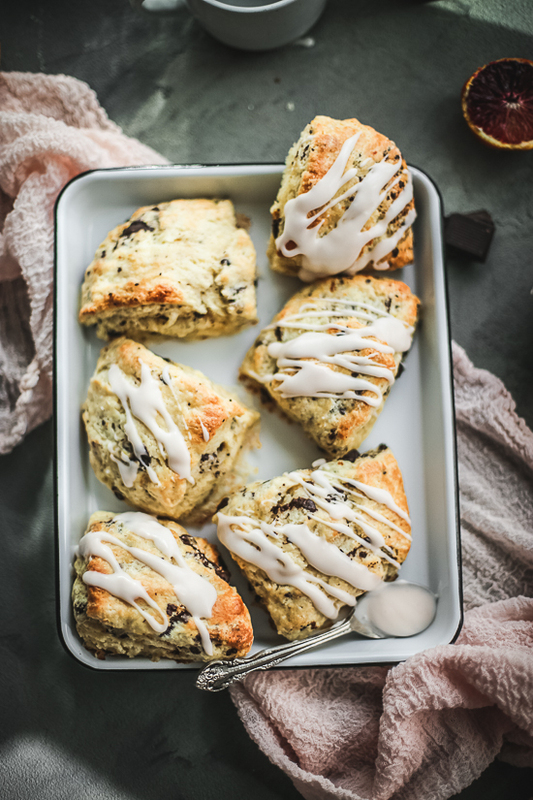 Scones have been on my brain for the past few weeks. 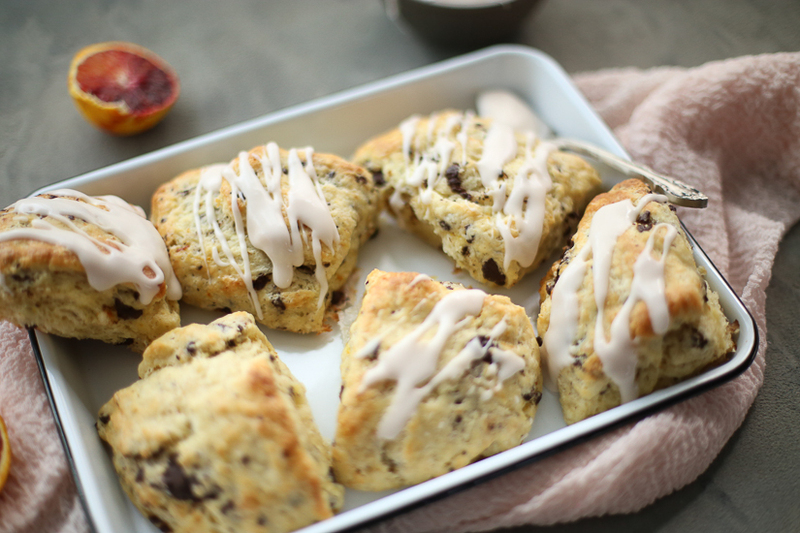 These blood orange dark chocolate and cardamom scones seemed to fit the bill! You’re probably wondering why the cardamom. And I’ve gotta say, it’s what makes these interesting. This spice is commonly used in chai. 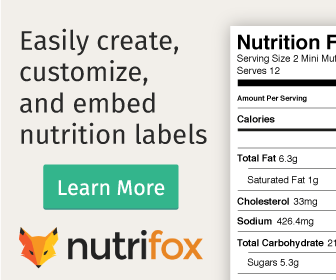 I’ve used it in granola and really enjoy the flavor it brings. I didn’t know this until I googled it, but cardamom is used in the Nordic countries. Specifically Sweden, Norway, and Finland in their baked goods. Now I know why I like it so much – it’s the Norwegian in me. If you’re looking for ways to use up the last of your blood oranges, try these goodies: Blood orange chocolate cupcakes with vanilla buttercream or blood orange poppyseed bundt cake with creme fraiche glaze. I’ve been having lots of fun experimenting with different extracts. Olive Nation has the best selection of culinary grade products. 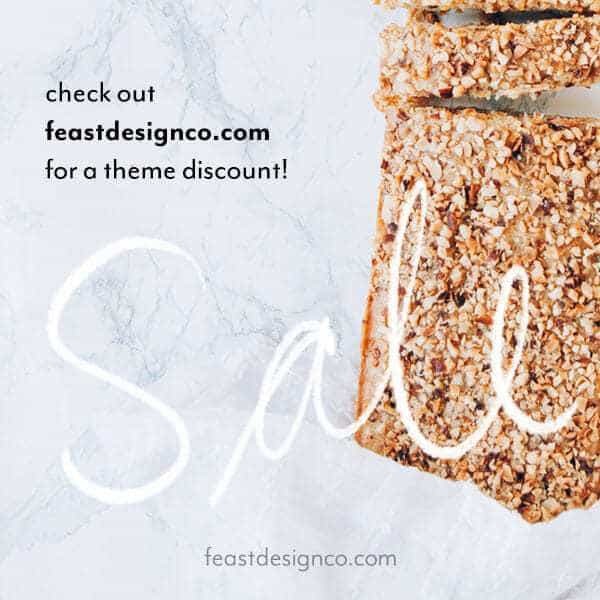 Be sure to check out their products and grab some unusual flavors. They also have baking supplies, chocolates, oils, spices, and vanillas! So many things to love! Oh – and don’t forget to get your “Pounder Plus” chocolate from Trader Joe’s. There are certain things that I just have to buy at Trader Joe’s: stevia, greek yogurt, almond milk, and the pounder plus. They have the best selection of chocolate. 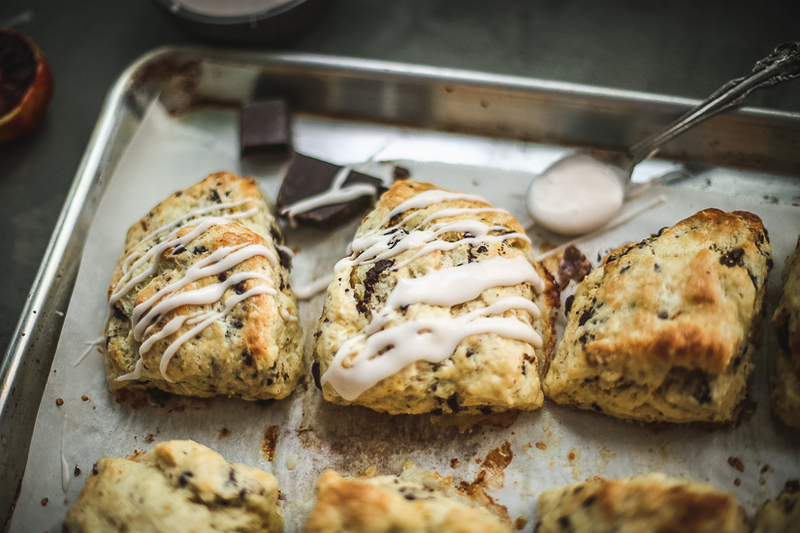 Using the giant bar of chocolate in these blood orange scones proved to be the right decision. Don’t worry – I didn’t use the whole thing. I got plans for that bad boy. Grate one cube of cold unsalted butter and place in bowl into freezer for 5 minutes. In a large mixing bowl whisk flour, sugar, salt, cardamom, zest, and baking powder. Add grated butter to flour mixture and stir to combine. Do not overmix. It’s okay to have larger chunks of butter throughout. In a medium bowl whisk eggs. Add in vanilla and buttermilk. Turn out dough onto lightly floured surface and knead a couple times. Overworking the dough will activate the gluten and the scones will become tough. Line a rimmed baking sheet with parchment. Divide dough in half and form into rectangles. Using a sharp knife, cut the dough into four pieces each. Place in freezer for at least 30 minutes. 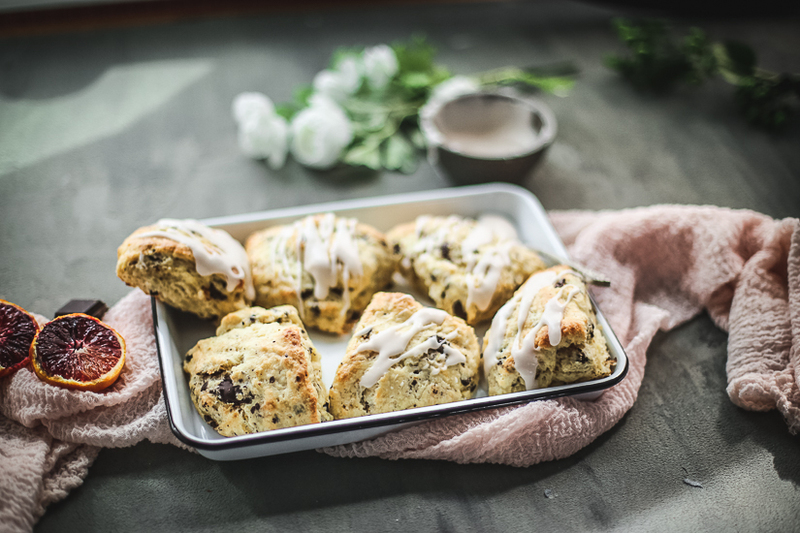 Preheat oven to 425 while scones are chilling. 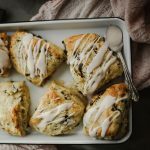 Brush scones with buttermilk and separate the wedges. This helps the edges to fully cook. Bake 20-25 minutes until golden brown and edges are no longer wet. Remove from pan, cool slightly. Sift the powdered sugar into a medium bowl. Add the juice of one blood orange and the milk. Whisk to combine. Add more milk if you prefer a thinner glaze. 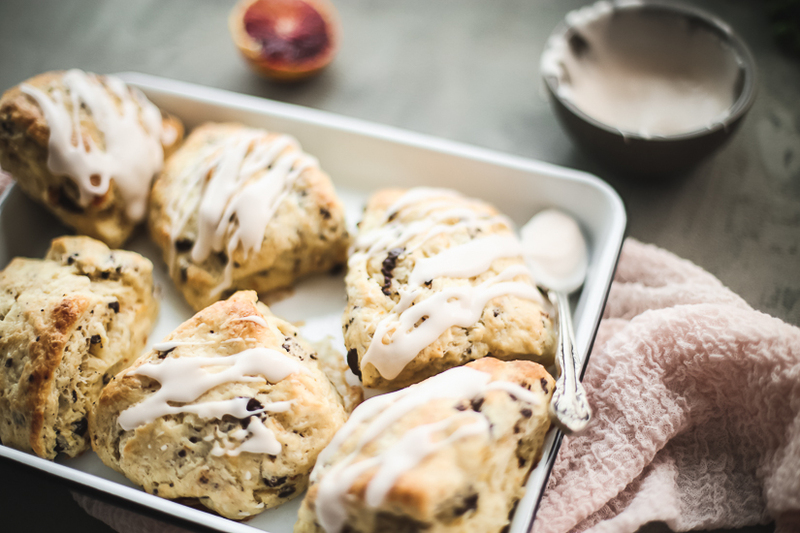 Stir in blood orange extract and drizzle over warm scones. Will keep up to two days in an airtight container.